You know how you just find a place randomly and it becomes your go-to spot? Well, that happened with me recently when I found De Paris Bakers hidden in the BP Market of Shalimar Bagh, Delhi. They have something for everyone and you simply can't resist trying out their wide variety of Patties and Burgers. You can pick out anything from something as basic as an Aloo patty to unique options like Russian or Cocktail patties. Their sandwiches are totally worth a try too because of the crunchiness and amazing flavours. 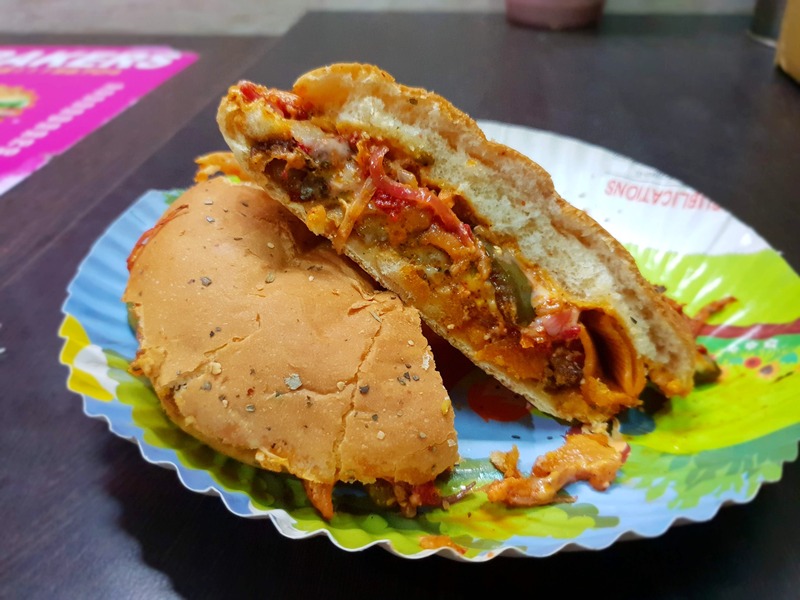 But hands down, my favourite is their 'Oregano Burger' which had the softest ever Wheat Flour bun (Brownie points there) with Oregano topping, a melt in the mouth Veggie-Potato patty along with fillings like Pasta and cheese. Oh, the burst of flavours with each bite! P.s. This place is run by an amazing innovative man who will help you out in picking out the best option as per your taste. They even keep on introducing new things and change the menu almost every day. The location is a tad bit difficult to find, but you'll manage if you ask around a little. It's a small place inside BP Market.